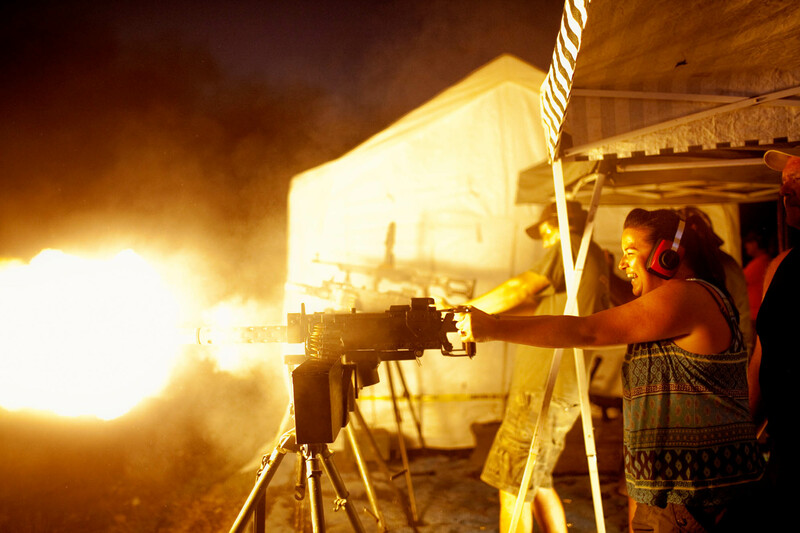 Story Rush, a kindergarten teacher from Greenwood, AK, fires an M1919 Browning .30 caliber machine gun on the first night of OFASTS. "It is such an adrenaline rush," she explained with after stepping back from the weapon. She had traveled to OFASTS for the first time with her husband and eight-year-old son. "I grew up hunting with my Dad so guns are nothing unusual for me," she said.